Seeking support for yourself is a positive step as well as a creative undertaking which requires courage and curiosity. I am respectful to your unique process and will take the time to discover and honour this. I value an approach that supports your sense of connection to yourself and others. I work with many issues along with grief & loss, also trauma. I encourage an increased awareness of being ‘at home’ in your body and your ability to respond to others & this living world. I see individuals, couples and groups of people who are experiencing difficulties either within or amongst themselves. I work with many issues including grief & loss, trauma using a trauma informed approach, anxiety & depression, life transitions, loss of meaning and general self development to name a few. In a supportive, respectful and professional manner I will work together with you to help to reflect on yourself, come to a deeper understanding and make more sense of your situation. By increasing your awareness, completing unfinished business and experiencing yourself more fully, you may find yourself different - more confidence, direction, freedom and relaxation. I work mainly as a Gestalt therapist, honoring each clients unique process. By doing this, my approach is tailored to suit the individual or couple. My objectives are to discover with the client their responses to the situation, explore their usual ways of dealing with such and from here devlop new patterns of response that are more satisfying. Throughout therapy I also foster the clients power and strength that enables them make their own fullfilling choices in the future. I undertake supervision and ongoing professional development. 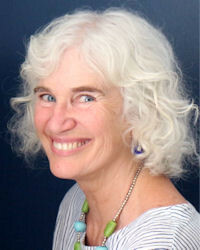 I have been facilitating meditative therapies since 1987 in the mid-north and north coast region of NSW. Along with this I've been counselling, drawing on my many years of experience as a group facilitator and community living in Australia, India and USA. In the last 10 years, I have been working in private practice as a counsellor and gestalt psychotherapist. Mondays 1pm - 5.00 pm. Out of Clinic and appointments at other times negotiable. Individual sessions: $100 per hour. I first came to psychotherapy in the early eighties. At this time I started my own personal journey by joining therapy groups, partaking in individual therapy and attending personal development trainings. Choosing psychotherapy as a profession became a natural step in my life’s journey, where I could then offer my support and presence, something of what I had been given in my own search for meaning and ‘who I am’. I have been largely influenced by Gestalt therapy and meditation. Holism, existentialism, humanism, the eastern philosophies of Zen and Buddhism, some of which are the roots of Gestalt’s philosophical base. The ability to make good contact with one's self others is just so important. It can make or break the day. When a person is not able to make this contact/connection with one's self and others it leads to isolation, loss of meaning and depression. As social creatures who need to share... isolation and effects is far becoming one of our world's largest problems. I use the principles of contemporary Gestalt therapy. Working at the client's pace, being respectful and caring yet remaining in dialogue at a growing edge that is also conducive to growth. I will use art & creative medium and two chair work or what ever is creatively needed as an intervention. I also incorporate somatic experience and mindfulness. This will depend on what is happening for the client. Some clients are content after just 2-3 sessions, others 6-7 sessions and others will need more deeper therapy over a longer period of time. I always make a point of tracking progress, talking about this and the direction the client wants to take. Goals change over time and as one goal is reached the next emerges. Therapy has helped me accept myself more and more. It has also helped me become more aware of my habitual patterns of relating which I am more able to recognise and change. Recognising my uniqueness, my abilities, my limitations and dreams have all been part of therapy. I like being able to be present and true for my client alongside being able to deliver 'skills' with heart and safety. I certainly do have these type of days where my brain seems to be stuffed with cotton wool. Usually some quite time, a coffee and a hug straightens me out and gets me functioning well again. The ability to balance life where there is pleasure to work, play and spend nourishing time alone is one of the greatest feats for us in our modern age. The inability to connect with self and others in fulfilling ways can leads to loss of meaning, loneliness and isolation. Urja is a psychotherapist, counsellor & group facilitator. She has a background as a meditation teacher & extensive experience in conducting meditative therapy workshops which involved emotional work, play therapy & meditation.